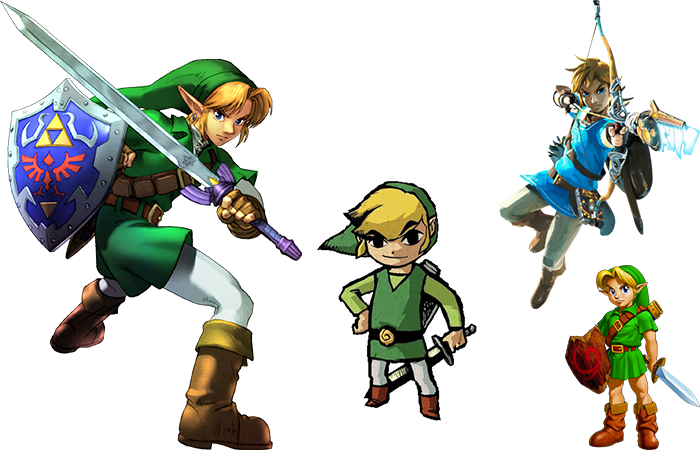 Despite a shared love for the colour green, Link is almost the polar opposite of Luigi. He’s a hero who is often thrust into adventures without a second thought (not that he would complain much about it anyway, given his vocabulary consists of shouts and grunts). And just like Luigi, there’s a lot we can learn from this fictional hero that we can implement in our own lives. One of the defining characteristics about Link (apart from him being left-handed) is his silence. In the latest Zelda game, Breath of the Wild, every character in Hyrule was given a voice actor—a first for the series. Everyone, that is, except Link. Link has always been a silent protagonist. Part of this, as explained by creator Shigeru Miyamoto, is to allow the player to implant some of their own personality onto Link. In fact, the only time Link was given a voice was in the Legend of Zelda cartoon and those dreaded Philips CDI games. And the first time you hear Link say, “Well excuuuuuuuuse me, princess” or “Gee, it sure is boooring around here”, you’ll be glad he stayed quiet. Commentators say that it means you should be silent when there’s no good in speaking. By remaining silent, you also learn to listen. The saying goes that God gave us two ears and one mouth so that we should listen twice as much as we speak. The words spoken by a mysterious old man in a cave, where Link finds his sword, jump start Link’s quest in the very first Legend of Zelda game. 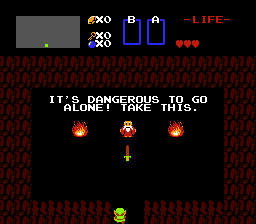 During many of Link’s 2D adventures, Link went solo—apparently it’s only dangerous to go alone unless you’re wielding a sword. Ocarina of Time, the first 3D Zelda game, introduced us to Navi, Link’s fairy companion who is best known for demanding you to LISTEN. Since then, most Zelda games have included a companion that travels with Link, whether it’s a fairy like Navi or Tatl, the impish princess Midna, Zelda’s ghost, Fii (a talking sword) or even three other Links. Some of Link’s travel companions spout wisdoms, like the King of Red Lions (a talking boat); or shrink him down to microscopic size, like Ezlo (a talking hat); or just generally get him around Hyrule, like Epona (a horse who surprisingly does not talk). Or that owl who talks, even though everyone wishes he wouldn’t. Regardless of who is with him, the point is that Link rarely travels alone. Something as big as saving the world is quite a burden to put on someone. In fact, much of the plot of Ocarina of Time involves Link rescuing sages—many of whom he met as a child, including his friend Saria—so they can help him defeat Ganon. Everyone has different experiences, different opinions and we can learn more from each other than we can learn by ourselves. One thing the Zelda series is known for are its dungeons. Dungeons in the Legend of Zelda are often praised for their clever design. Each dungeon is a brain twister in its own right, crafted around an item or gimmick that constantly challenges you to think creatively (or check the online guide). Say to any Zelda gamer, “Tell me about the Water Temple” and they’ll gaze wistfully off into the distance while a shiver of dread runs up their back. Completing a dungeon sets free something—be it an ally or an item—to help in your quest to defeat Ganon. So Link, and by extension the player, has to use brainpower to defeat the forces of evil. Sometimes the solution to a problem isn’t immediately obvious. Not only that, sometimes it can be tempting to use force or brute strength to solve it. But often times the best solution involves thinking through it calmly and rationally to find the hidden “aha!” moment that solves the problem. Link’s actual age is never mentioned, but there are some adventures that take place when Link is a child. 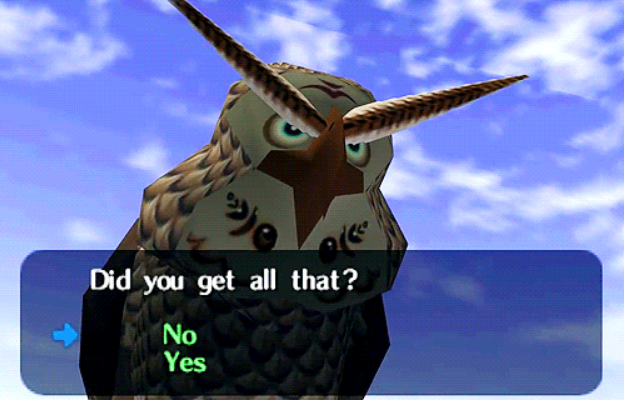 These include games like The Wind Waker, Spirit Tracks, Ocarina of Time, and, most notably, Majora’s Mask. Surprisingly, the moon looks much more threatening in-game. 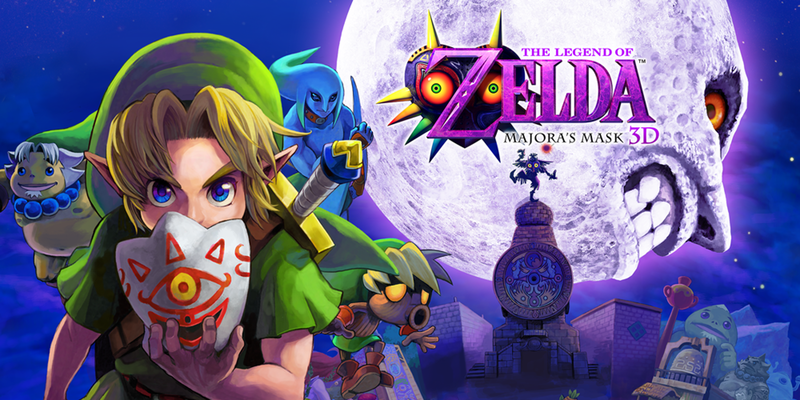 Majora’s Mask is regarded as one of the darker entries in the series, and is considered the best Zelda game by some. Though Link is a child in this game, he is thrust into a world that is about to be crushed by a moon in 3 days unless he can stop it. Many of the themes of this adventure deal with loss, the inevitability of death, and even the 5 stages of grief. It’s a lot of weight for anyone to carry, never mind a child. Even in the game’s predecessor, Ocarina of Time, Link has to face some of the creepiest dungeons as a child, such as the dungeon at the bottom of the well (ending with a nightmare-inducing boss fight). The point is that courage is not something restricted only to adults. Children can also learn to be courageous, whether it’s standing up to a bully, helping someone in need or even just saying what they believe is right. In our real world, children have had to be courageous in the face of terror and oppression. Notable examples include Anne Frank, who chronicled her life hiding from the Nazis, or Malala Yousafzai, who was shot by the Taliban and continues to promote women’s education today. Children are in need of positive role models today, one who can teach them that success doesn’t mean selling yourself out, or simply gaining money by any possible means. Zelda creator Shigeru Miyamoto cites his childhood as an inspiration for the series. As a child, he would explore the woods and caves behind his house. He wanted to translate the experience of exploration and discovery into a video game. This is why the first Legend of Zelda title is considered one of the first—and one of the most influential—open world video games. While the main quest of a Zelda game is typically pretty linear, there are a lot of incentives for running off the beaten path and exploring. This is most obvious in the latest game, Breath of the Wild, where you can literally run and try to fight the final boss as soon as the game starts. You’ll most likely get wiped out before you can even set foot inside the castle, so the rest of the game is built around exploring Hyrule and gaining experience, skills and allies to defeat Ganon. While the experience of boundless exploration can be replicated in a game like Breath of the Wild, it pales in comparison to the real world. The multitude of forests, mountains, lakes, rivers, plains and nature around you is available for you to explore. So literally, there’s an entire world—an entire universe—that has been created for you to explore and take advantage of in a meaningful, measured way. You don’t have to travel across the world to find something amazing. You can explore the city you live in, go on a hike, walk through a park, or even just stop and peer down at the micro-world of life going on in the soil around you. 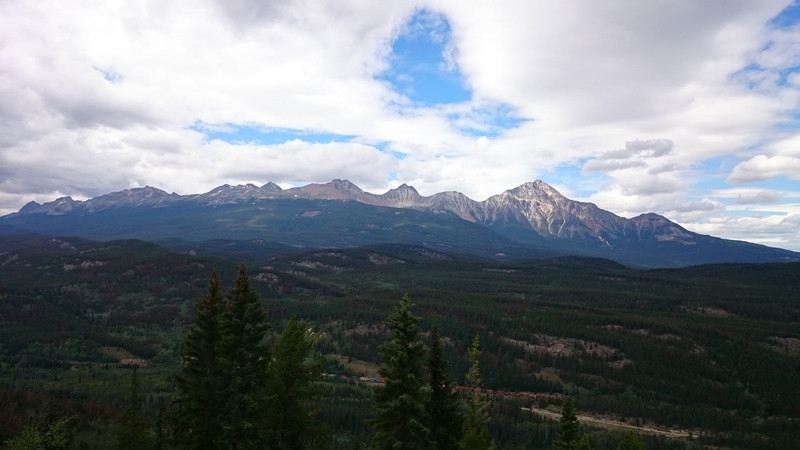 If you are near a national park or nature reserve, go and explore. Or even just look up at the stars. I’ll end this on a practical and personal note. When I was a kid I loved going to the swimming pool. I never took formal swimming lessons, so I mostly fumbled around in the water until I found a way to keep myself from drowning. Breaststroke, doggie paddle—none of these swimming techniques really stuck with me. When I was 10 years old I played Ocarina of Time. One thing I paid attention to was how Link swims under water. It was this weird one-armed reach-and-pull while he kicked his feet. Nonetheless, I tried it out in a swimming pool and found that it actually worked. From then on I became a much better swimmer. Who says video games can’t teach you anything?